The Nizhny Novgorod GDG team welcomes Go developers for this new meetup! Taking place December 8, noon to 3:00pm, the event includes five expert talks, followed by a bit of networking. 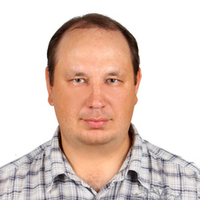 Mikhail Angelov, a Toptal developer, will be on site. Feel free to connect with Mikhail if you want to talk about Toptal work, or introduce a colleague who may be interested in finding out more. Your message to Mikhail was sent.